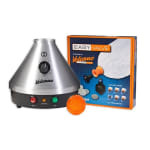 180 Smoke is proud to offer the most popular vaporizer in the world, the Volcano Vaporizer By Storz and Bickel This tabletop vaporizer is the ultimate in vaporization, featuring the best build quality of possible any vaporizer on the market today. 180 Smoke is proud to offer the most popular vaporizer in the world, the Volcano Vaporizer! This tabletop vaporizer is the ultimate in vaporization, featuring the best build quality of possible any vaporizer on the market today. 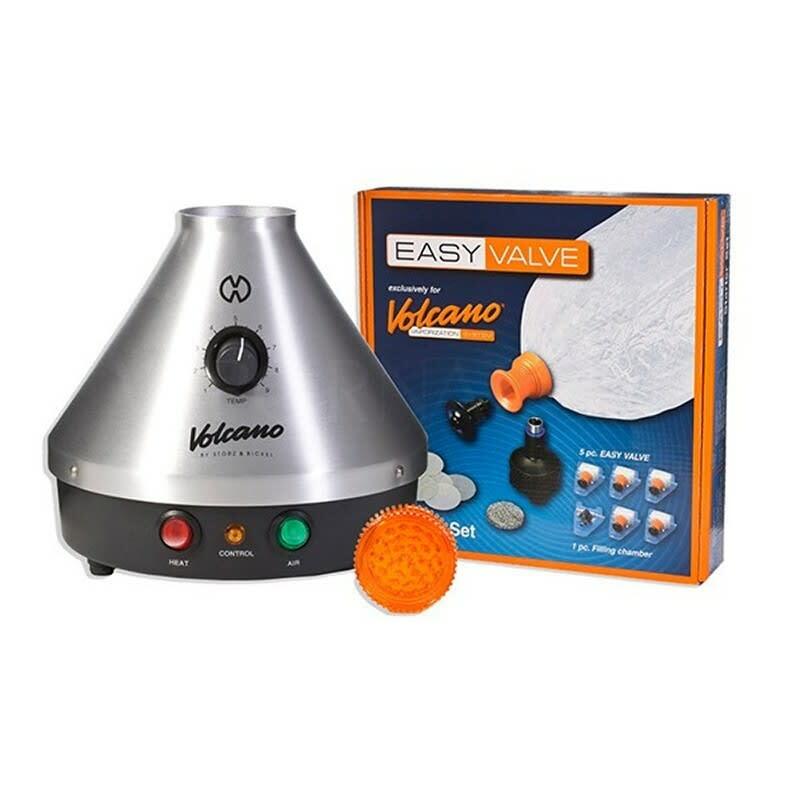 The Volcano Vaporizer has exceptional vapor production and is also incredibly easy to use. There is essentially no 'learning' how to use the Volcano - you simply plug it in, chose your temperature, and let the device go to work for you. The Volcano's vacuum system pumps in fresh, filtered air that is heated to appropriate vaporization temperature. This hot air is then passed over your dry herb/aromatic blends or essential oils to create the vapor, which is then filled into the Volcano balloon via forced air. Once your balloon is full, it is ready to be used after you detach it from the Volcano itself. The Volcano Classic, offered by 180 Smoke, utilizes analog temperature control via a manual dial that is adjustable between 266 and 446 degrees Farenheit. There is no automatic shutoff timer on this device, so ensure that you switch it off when you are finished using your Volcano Vaporizer. The included Easy Valve Starter Set features a locking herb chamber which securely attaches to the Volcano base, 4 disposable Easy Valve balloons, and an Easy Valve Balloon Adapter which allows you to remake balloons of custom length. The absolute KING of herb vaporizers! Can’t imagine using anything else now that I have a volcano.